If you happen to be both a Drake fan and a Justin Bieber fan, this is your time. Not only are both the rapper and pop star ruling the charts, but the Canada natives just released a remix collaboration of Drake's hit song "One Dance." You'll need to know where to get Drake and Bieber's "One Dance" remix ASAP, because one of summer's hottest songs just became a scorching fire emoji. Drake dropped the new track, along with two others, during an episode of OVO Sound Radio on Saturday night, and they're all currently available to stream on SoundCloud and OVO Sound's YouTube channel. But if you listen closely to either stream of "One Dance," it fades out at the end, meaning it's not the full song and you're missing out on all the awesomeness. Unfortunately, the entire track isn't available on iTunes, Spotify, Apple Music, or TIDAL as of yet, just the clips. Actor Gabrielle Union leaked a video of the Bieber's remix of "One Dance" on Snapchat earlier in the week, but this is the most fans have heard of the tune since. Still, it's something, and hey, even a hint at a Drake/Bieber collab is pretty great, as is new Drake in general. In addition to dropping the new album VIEWS in April, the Canadian rapper has gifted fans plenty of new tunes for the summer, including "4 p.m. in Calabassas," and Gucci Mane's "Back on the Road" (featuring Drake). 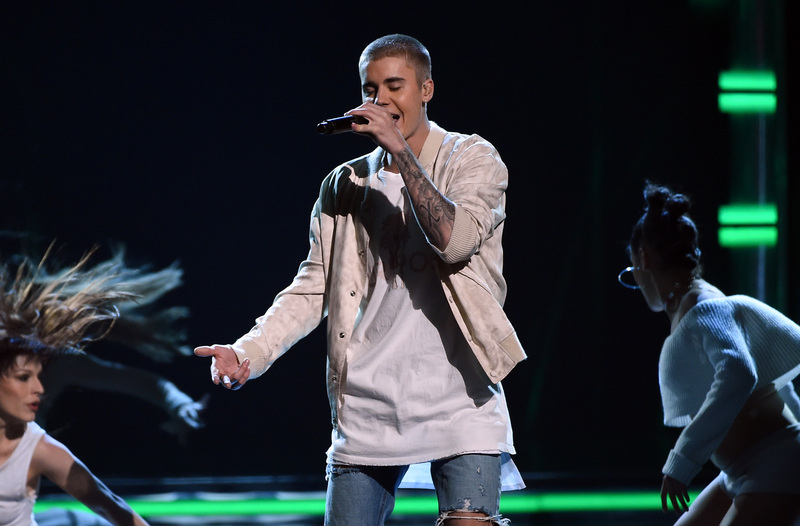 But the Bieber version of "One Dance" might be the best one yet. The pop star's remix of Drizzy's No. 1 hit tune is both the same and different: It starts out with the familiar backing track, chorus, and hook by Kyla, but then the Biebs takes over with his own original lyrics to the song. He serenades a potential dance partner in the song by singing new verses with lyrics like "Celebrate life with me babe / Don't be in a rush to go now" and "Skin so soft, hands on my face to be directed / And you're all that I can see." Is it getting hot in here, or what? You'll need a drink after listening to this song — but just be aware that the original drink changed in the new "One Dance" chorus. In the original, Drake has a Hennessy in his hands, but in Bieber's remix, he's got a 1942 in his — as in, his favorite tequila made by Don Julio. This glorious collaboration between two of music's hottest stars isn't the first time they've come together to give us a grand remix. Back in 2011, Bieber sang on a remix of Drake's "Trust Issues," from his album Take Care, and he also changed up that tune's lyrics a bit. Listen to the new track below and determine for yourself if this is your new song of the summer.